Kabuki, part of Japan’s intangible cultural heritage, was born 400 years ago (Edo period) at the same time as when Shakespeare was born in England, and when opera was established in Italy.Ka in Chinese character represents music, bu represents dance, and ki represents acting.Kabuki was a form of modern play during the Edo period, and instantly gathered incredible popularity among the locals.Because kabuki was a play made up of audiences that were common people, irrespective of age or gender, it incorporated modern manners and customs of the time so that it could be understood easily by anyone. 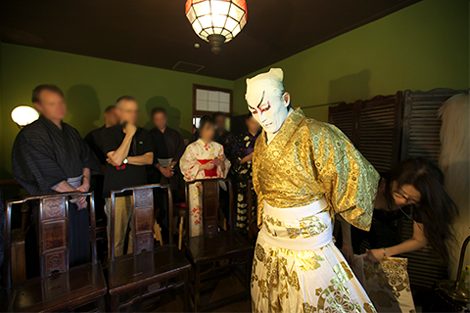 In the kabuki plan, we have provide plenty of time for a workshop on how kabuki actors are made; actors themselves will show and explain the process of their makeup and costumes.After the preparation, the kabuki actors will perform a kabuki dance of your choice from below. 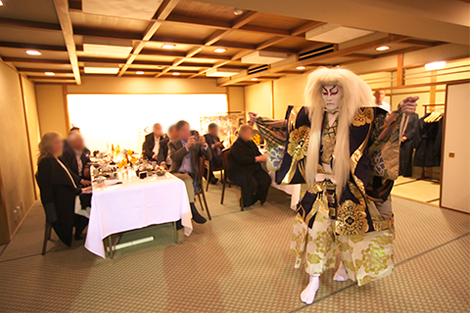 Explain the history of Kabuki in advance and ask customers to know about Kabuki while repeating questions and answers. Also, I will explain about the dance you are dancing on the day and tell you to deepen your understanding of the contents of the performance even a little. You can actually see make-up and Kumaki, and you can see how the Kabuki actor changes. Also, see the place where kimono-specific kimono is dressed, and we will show you how the Kabuki actor is completely transformed. In the demonstration, you can feel a lot of power because you can see the performance at a very close distance to the customer. You can also enjoy dancing while having a meal. 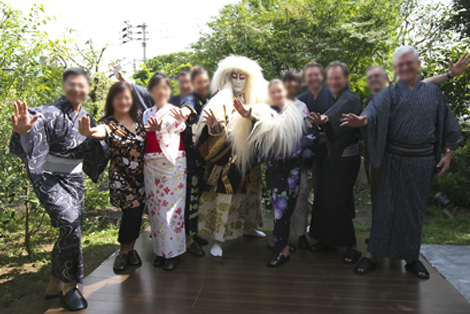 Finally, it is possible to take a commemorative photo individually with the Kabuki actor. You can take a free pose and make it a precious memory. 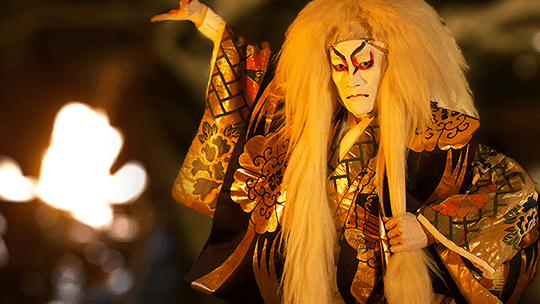 Watch the Kagamijishi, one of the most popular performances in kabuki. 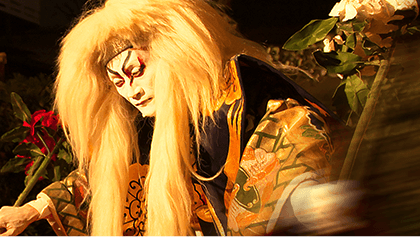 A luxurious plan which you can watch from the costuming in magnificent stage outfits to the kabuki dance that captures the best essence of dramas. This drama captures a popular, classic kabuki character named Sukeroku approaching (entering the scene) in front of the latticework of Miuraya in a dance form. Opposed to the classic Sukeroku that is usually performed in a Kato-bushi (a style of music that consists of a story), the dance style Sukeroku is performed in Nagauta (a style of music that depicts the scene). 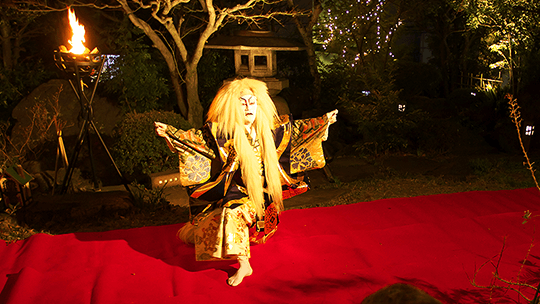 The first performance was showcased at the Nakamura-za by the fourth generation Utaemon Nakamura as one of the eight transformations.It vividly depicts the glorious and free nature of Sukeroku through rough and soft textures. This performance depicts a precocious town girl loitering around on the way from the Terakoya (temple elementary school), running after a butterfly under the tranquil spring sun.A girl who still has her kimono hemmed, dancing like a good adult brings out more of her innocence.Your heart will be captured by the lovely, delicate dance of a transition phase between a child and an adult. The first performance was at the Kawarasaki-za in 1792 as one of the seven transformations called Kakitsubata Nanae no Soeginu, which later became known as the Tenaraiko. Watch how the performers transform into kabuki actors, as a part of the backstage access which can never be seen in theaters. With an easy-to-understand explanation, you'll be introduced to the traditional makeup and costuming. 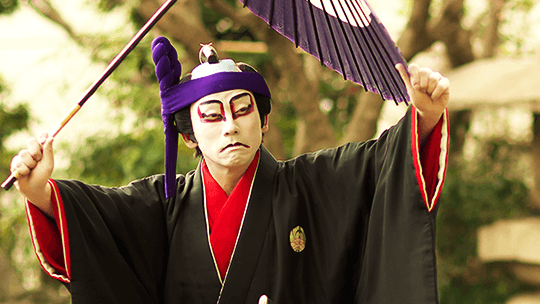 In kabuki, there are young adult male roles and female roles played by men. 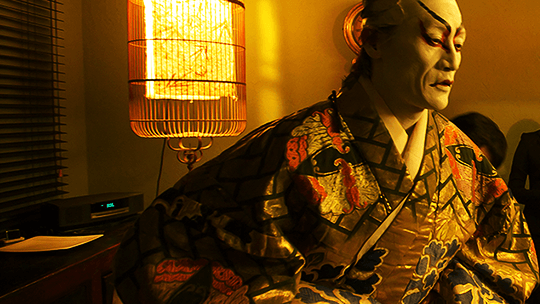 The highlight of the kabuki makeup is the unique makeup called kumadori for male roles represented in rough style acting and actors’ transformation into beautiful women. 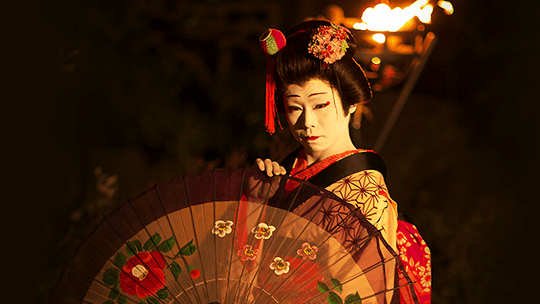 Various characters such as samurai, female prostitutes, and townspeople appear in kabuki plays. Each character has its own unique costume, and costuming requires speed and special techniques.With this plan, you can watch how each character gets costumed. For young adult male roles, there are various types of wigs depending on the age, social class, and occupation of the role. Also, stylized movements carried out in fighting scenes is one of the performance style unique to kabuki.They appear in sword fighting, pole weapons, and hand-to-hand movements, and there are about 200 styles in total.Once Kabuki actors get ready in the workshop, they will perform a kabuki dance.